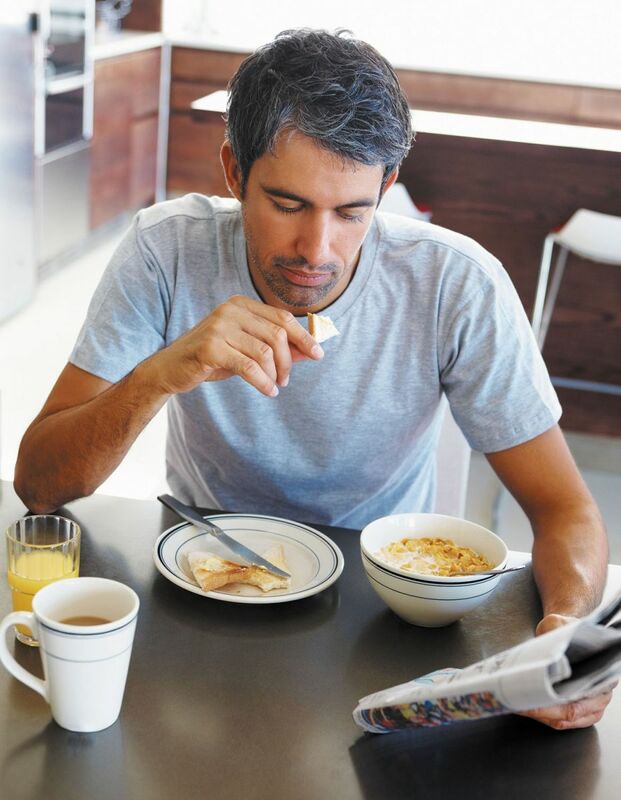 New research supports the old adage that breakfast is the most important meal of the day. A study of more than 4,000 middle-aged adults in Spain found that those who ate breakfast were less likely to have artery-clogging plaque (atherosclerosis) than those who avoided a morning meal. On average, the participants ate just over 2,300 calories per day. Nearly 3% didn't eat breakfast, while about 27% ate a hearty breakfast and nearly 70% ate a skimpier breakfast. Researchers used ultrasound to check their arteries for early evidence of atherosclerosis, as they described in the October 2017 Journal of the American College of Cardiology. Nearly 75% of the breakfast skippers had signs of plaque buildup, compared with 57% of those who ate a big breakfast and 64% of those who ate a lighter morning meal. Breakfast fans tended to eat more healthfully over all and were less likely to be obese or have high blood pressure, diabetes, or unhealthy cholesterol levels. But even with those factors taken into account, skipping breakfast was still linked to a higher risk of atherosclerosis. Flavonoids: The secret to health benefits of drinking black and green tea? Omega-3 fatty acids: Does your diet deliver? Ask the doctor: Reversing atherosclerosis?